Many of us have ever waged personal diaries, or at least tried. People wrote down their thoughts, experiences, impressions in notebooks, which are securely hidden from prying eyes. Today the situation has changed. a new trend With the proliferation of computers and the growing number of Internet users - online diaries. Differently - blogs. 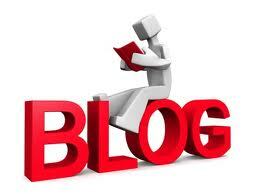 Blog is a website, who can visit and read absolutely any Internet user. Blog posts are called messaging, or posts. Usually they are arranged in chronological order. Usually, the most recent - top. Besides, on blogs and have an archive search, on which you can find the records. People, leading blogs, They called bloggers. Usually, one blog one author. Although there are exceptions. At the same time, a blogger can maintain multiple blogs, dedicated to different subjects. In addition to reading, on many blogs have the opportunity to comment on posts, submitted by author. About anything. From personal thoughts, events and publication of private photos to highly specialized information. Let's look at the main types of blogs depending on the content. In fact, a personal diary, which is available to all who wish to read. Here you can write interesting events in the life of the author, publish photos, to express their opinion on various news and publications on other blogs. Usually, these blogs do not collect a large number of readers. The most frequent visitors - friends and acquaintances. However, there are exceptions. for example, personal blogs of famous people (musicians, politicians, actors) read hundreds of thousands of visitors every day. Often, the presence of a personal blog allows the average person to achieve a certain degree of popularity in RuNet. Special, if your blog has a "zest". Personal blogs are frequently on free platforms, eg, livejournal.ru, blogspot.com etc.. In this type of blogging users place no personal experiences, and any specific information, which may be of interest to a wide audience. for example, person, who breeds of aquarium fish can create a blog, which will publish articles about caring for fish, Choosing an aquarium and equipment, selecting plants, etc.. The author is well aware of what wrote, Therefore, such articles would go "with a bang" in blog visitors, interested in the same topics. The task of a fashion blog - roll out any company or individual. for example, person makes creating websites. He maintains a blog, which publishes useful articles about, how to create your site. Along the way, unobtrusively offering their services. This blog serves two functions. First of all, it gives people an interesting and useful information. Second - blog advertising is its creator, It helps to build its customer base. This blog, which are regularly published news of any particular industry. for example, auto News, Real estate news, news of the economy, etc.. These blogs are replenished every day no one dozen articles. The highest quality of them attract a huge number of visitors. These blogs are somewhat different from those, that we have described above. These may be directories, shops, etc..
self-realization. Man shares with the world his thoughts and emotions and feelings of satisfaction that. Self-promotion and sale of services. It soon comes to fashion blogs. A person or company promotes itself and its services. earnings. To make a blog can be a variety of ways: links for sale, selling advertising space, contextual advertising, affiliate programs, etc..